Daptly to Release a Commercial Smart Mirror « Adafruit Industries – Makers, hackers, artists, designers and engineers! 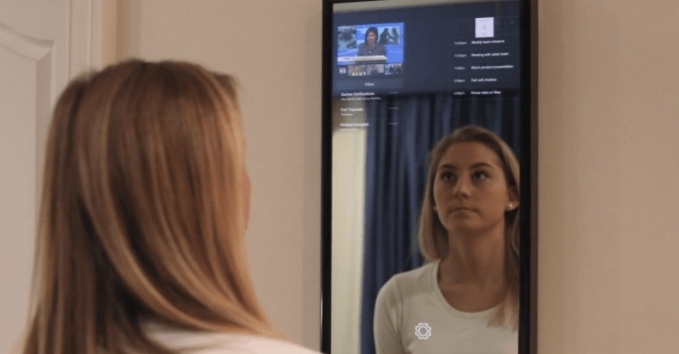 I’m happy to see a commercial smart mirror pop up from Daptly with the intent on shipping units in December of 2017. Daptly will cost about 2x as a the roll your own Raspberry Pi version starting at $600. It supports gesture inputs and includes a built-in Alexa. The mirror is also fog resistant and heavily integrated with #iot world of lights, locks, security cameras and fitness trackers.